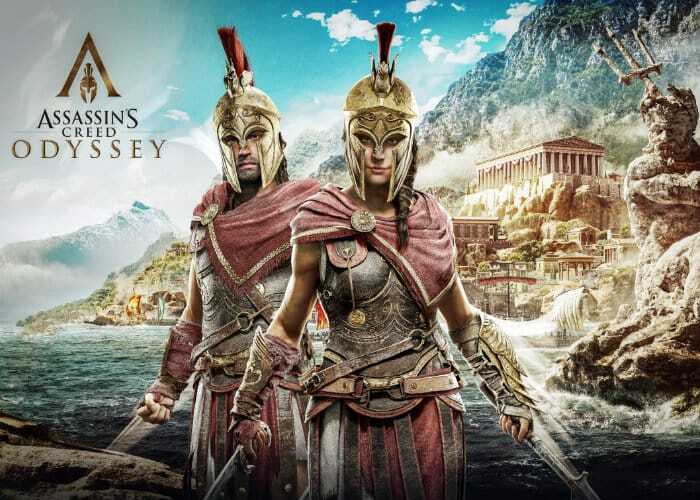 Assassin’s Creed Odyssey will be officially launching a couple of months time on October 5th, 2018 and will be available to play on PC, PlayStation 4 and Xbox One. The latest instalment in the ongoing Assassin’s Creed franchise will be the 11th major instalment and 12th overall and a successor to the 2017’s Assassin’s Creed Origins game. Check out the 11 minute Assassin’s Creed Odyssey gameplay trailer below to learn more about what you can expect from the game and its storyline. The Assassin’s Creed Odyssey game takes place in 431 BCE, four hundred years prior to the events of the last Assassin’s Creed Origins game. The storyline re-accounts the secret fictional history of the Peloponnesian War, which was fought between the city-states of ancient Greece. Players takes on the role of a mercenary and will be able to fight for either Athens and the Delian League or the Peloponnesian League led by Sparta.